A celebration is long overdue! Now's the time to thank your dad for the impact he's made on your life through all the stages and seasons of your family. For the hours he worked to make life easier for you and your family, for the headaches and the heartaches of leading your family, for the endless and quiet sacrifices, and for just doing the best that he knew how to do—thank your father. In these two encouraging messages, Chuck Swindoll stirs up gratitude both for our fathers and for the men who have been godly examples to us. You'll also catch a vision for how each of us can leave a lasting legacy of love, affection, affirmation, and security for those who look to us as the leaders of our generation. 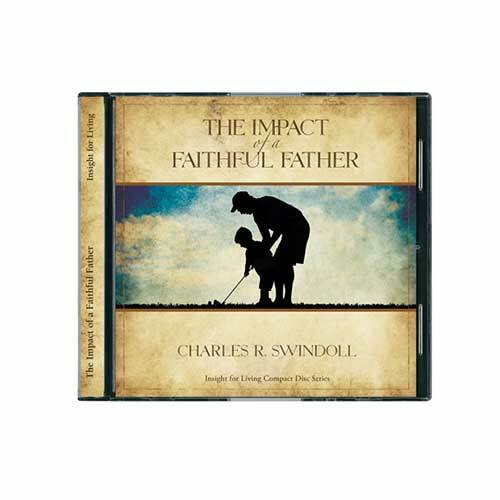 Copyright © 2007, 2009, ℗ 2010 by Charles R. Swindoll, Inc. All rights are reserved worldwide.